It was meant to be: The classic fantasy adventure that began the Redwall phenomenon is finally available in a cool graphic format. Illustrated by renowned comics artist Bret Blevins, Redwall: The Graphic Novel brings to life all the battles, all the heroes, and all the villains in a fun new format perfect for reluctant readers, those just entering the Redwall world, or the It was meant to be: The classic fantasy adventure that began the Redwall phenomenon is finally available in a cool graphic format. 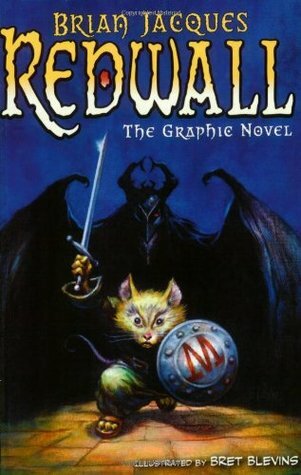 Illustrated by renowned comics artist Bret Blevins, Redwall: The Graphic Novel brings to life all the battles, all the heroes, and all the villains in a fun new format perfect for reluctant readers, those just entering the Redwall world, or the countless existing fans of the series.